The camp was inaugurated, followed by an interactive session with parents. 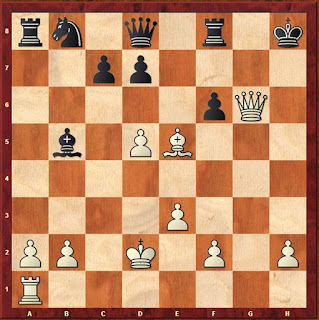 We started with a very interesting game Lasker – Thomas, where White checkmates Black with the move 0-0-0! Then we played a class game, where students were given a position to remember for few minutes and then to produce on their boards - blindfold Chess. 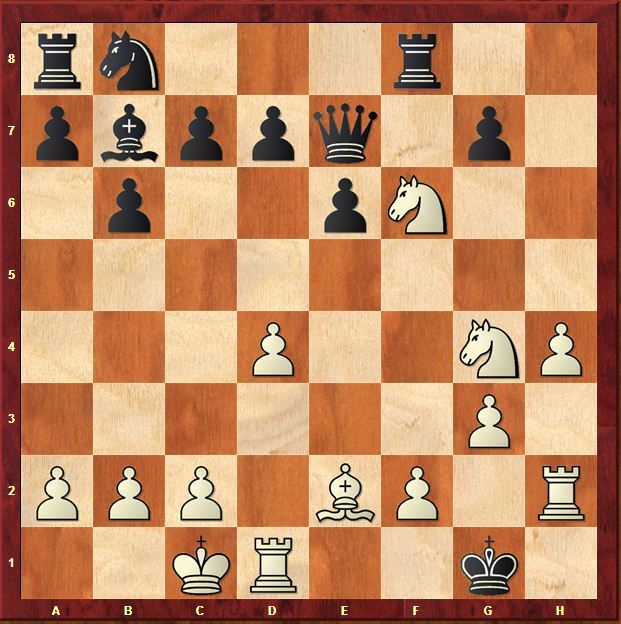 Initially I gave with few pieces, and then made challenging with complex middle game positions. All did really well, so I gave them more difficult random study like positions and I was impressed that the students accepted the challenge and produced them correctly on their boards. I gave them more visualization questions. We saw some puzzles and we played blitz games at the end of the session. 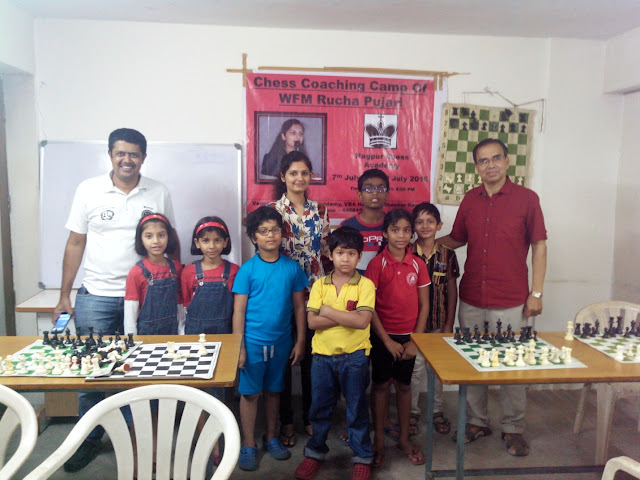 We started with the famous Adams – Torre game, letting them understand the ideas and guess the moves. 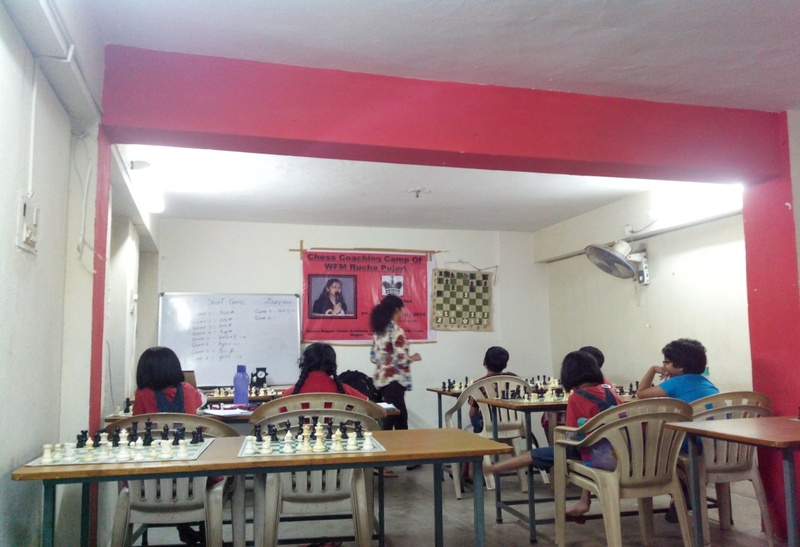 Then we went back to the history of Chess, learning about the World Champions. 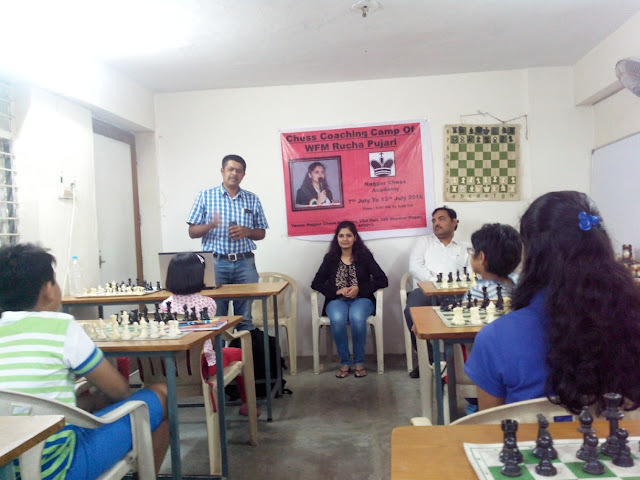 It was followed by the analyzing and discussing the game between Fischer – Spassky. We studied endgames, a lot of endgames! Starting from the basic, we advanced to the complex ones. We studied not only positions, but ideas and patterns. We discussed some of the theoretical positions like Lucena position and Saavedra position among others. Like after every session, they were given homework positions to solve. We started a new topic today – Defensive ideas. We all like to attack, but it is also important to be able to defend the positions. It is important to be able to look for resources, to save or equalize the position. Then after a small break, we resumed to study a very instructive and crucial game of the World Championship Match Topalov – Anand, game 12. Topalov’s defense and Anand’s attacking ideas were quite impressive, learned a lot from this game. 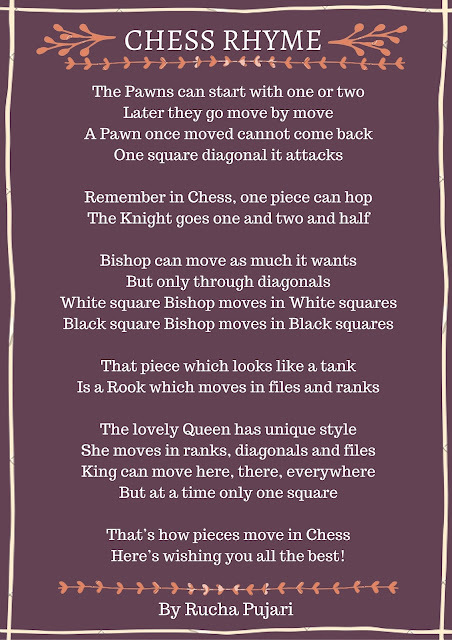 We started with understanding the symbols in Chess and followed by learning how to note down and read the moves, variations in a correct way. This will help the students understand easily when they will start studying on their own, using books and databases. We solved middlegame tactics, and I checked their notes and corrected whenever necessary. 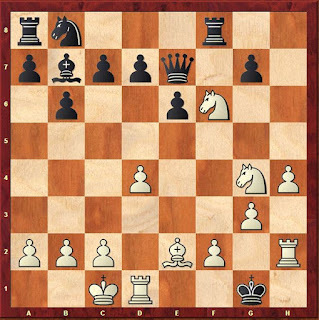 We then analyzed one of the famous attacking games, Kasparov – Topalov. This day was all about openings. I explained to them opening principles and general ideas. We started with learning some interesting facts about chess, followed by looking at short games. Students really enjoyed this session. 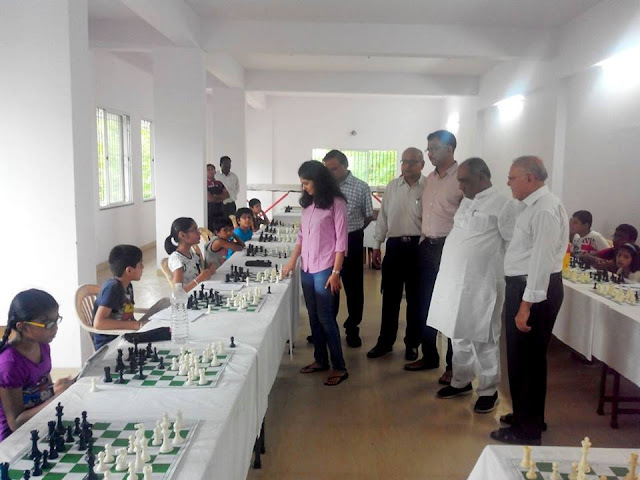 It was followed with an interactive session with parents. 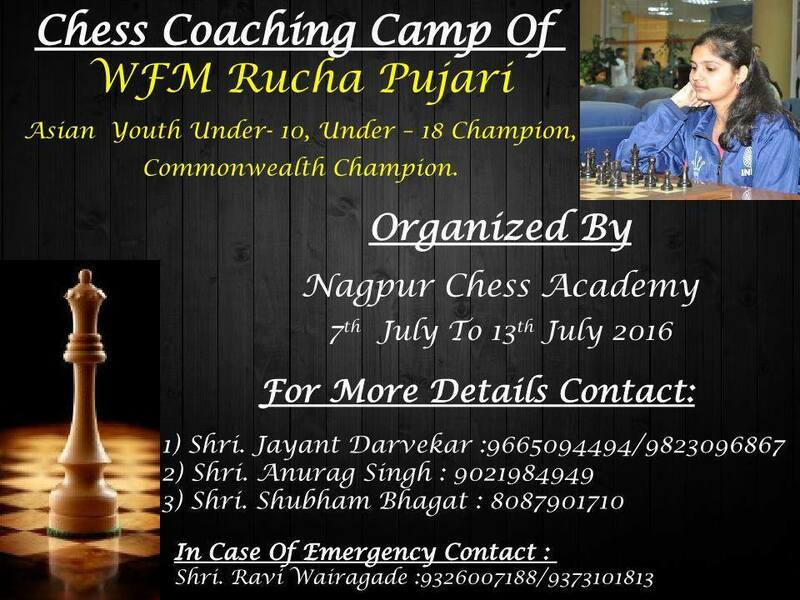 I would like to thank Nagpur Chess Academy for organizing and inviting me for the camp. It was great opportunity for me, to be able to interact with upcoming players from Nagpur and encourage them for their future. 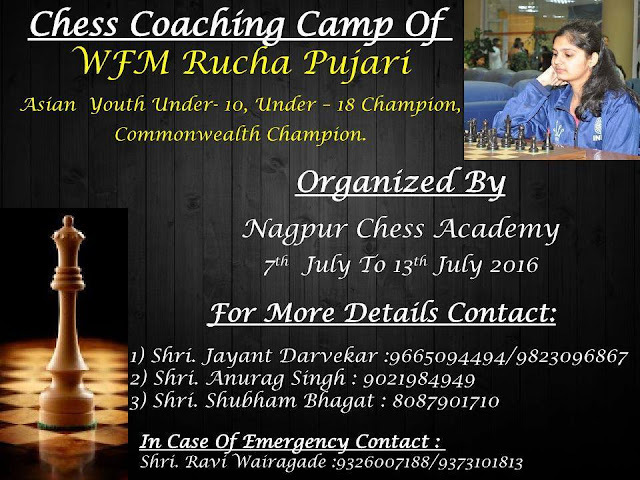 I think it is wonderful that Nagpur Chess Academy has created a platform for the players to grow and progress. I would like to thank Mr. Pagay sir and family for their wonderful hospitality. I would like to specially thank Mrs Kanchan Pagay for making my stay nice and comfortable.